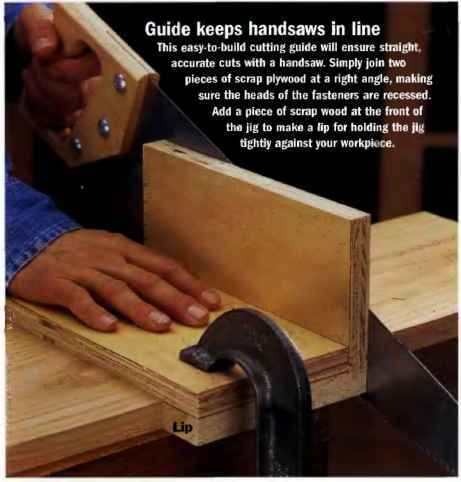 Choosing the right tool for the job is especially important when using hand-powered tools. The collection of handsaws shown above can perform just about any cutting task you're likely to encounter in your workshop. 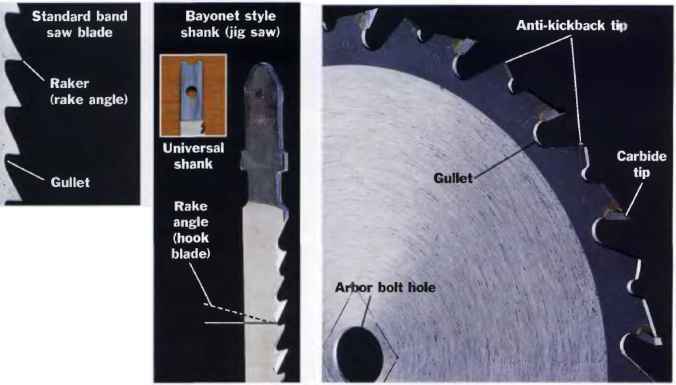 (A) 8- to 10-TPI cross-cut saw for general cutting of dimension lumber or sheet goods; (B) Backsaw for miter-cutting; (C) Hacksaw for cutting metal; (D) Wallboard saw for making cutouts in wallboard and other soft building materials; (E) Flush-cutting saw for trimming wood plugs and through tenons; (F) Dovetail saw (saw shown is smaller version called "Gentleman's saw"; (G) Japanese saw (cuts on the pull stroke)for quick trim-carpentry cutting; (IT) Fret saw for making delicate scrolling cuts; (1) Coping saw for curved cuts in trim carpcntry.